Romans 6:5 Si enim conplantati facti sumus similitudini mortis eius: simul, et resurrectionis erimus; For if we have been planted together in the likeness of his death, we shall be also in the likeness of His resurrection. Mark 8:8 Et manducaverunt saturati sunt; And they did eat and were filled. 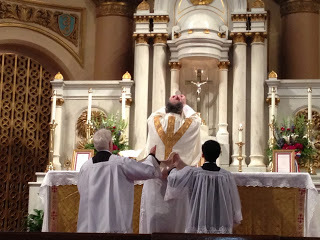 In the Traditional Latin Mass there are two readings from the Sacred Scripture at each Mass, usually an epistle from St. Paul and then a selection from one of the four gospels. This form of the lectionary is so ancient that we have sermons going back to the earliest centuries of the Church’s life preached at Mass on exactly the same Sundays as they are preserved in the Traditional Latin Mass calendar. These homilies are the reflections of countless saints, doctors, and even Church Fathers, who heard the Scripture passage selections read or sung just as we do at the Traditional Latin Mass today. Amazing!! Just using this ancient lectionary links us to the Church’s bi-millennial Tradition in so many ways. 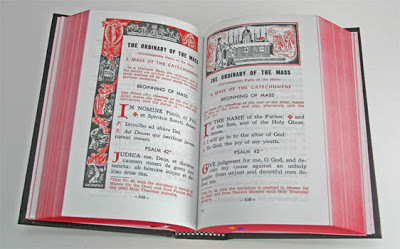 When purchasing a Latin-English Missal I recommend the ones with the full Latin and English texts, so that even the readings from the Bible can be looked at in the Latin. The translation of the Bible into Latin is called The Vulgate Bible. It is interesting to note that Harvard University Press has just published a handsome six volume (seven books) edition of the Vulgate Bible with Latin on one side and the traditional English translation of the Latin on the other. The editors acclaim the profound influence the Latin translation has had on Christian faith and life and on Western civilization and culture. In most of the Church’s history the Scriptures were read and heard not in the original languages, nor in the vernacular, but in the official Latin text. 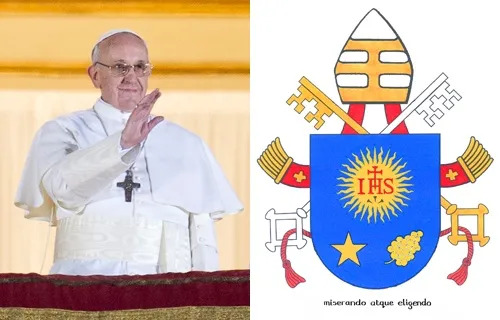 Even in the reform of the liturgy after Vatican II Rome has proclaimed that the official Catholic Bible, and thus the new lectionary, is a new translation into Latin and thus called the New Vulgate. Midwest Theological Forum has just published an elegant edition of the New Vulgate Latin Lectionary for use at the Ordinary Form of the Roman Rite. Matthew 5:23-24 Si ergo offers munus tuum ad altare ebi recordatus fueris quia frater tuus habet aliquid adversum te, relinque ibi munus tuum ante altare, et vade prius reconciliari fratri tuo, et tunc veniens offeres manus tuum; Therefore if thou bring thy gift to the altar and there shalt remember that thy brother hath anything against thee, leave there thy gift before the altar, and go first to be reconciled to thy brother, and then come and offer thy gift. 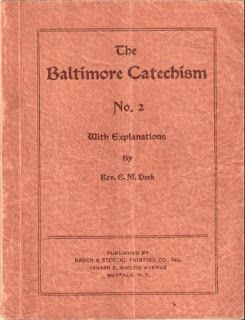 I have in my possession a copy of a little book entitled The Baltimore Catechism No. 2 with explanations by Rev. E.M. Deck, printed by the Rauch & Stoeckl Printing Co., Inc. from Buffalo, N.Y. It has a copyright of 1929 and remained in print until the 1970’s. It was a series based on the catechism issued by the American Catholic bishops during their plenary council held in Baltimore, Maryland in the 19th century, the same one that promoted catholic schools. It was later revised in the 1940’s and has never been replaced with an official catechism for children, though the bishops currently have one for adults based on the Catechism of the Catholic Church, first published in Rome about twenty years ago. 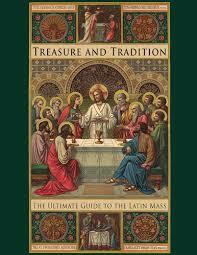 During this Year of Faith Pope Benedict XVI recommended that we read and study the Church’s official catechism. That is a grand idea, because many are confused about what is and what is not authentic Catholic doctrine. 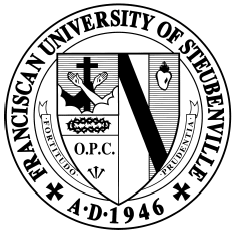 It can readily be said that if a teaching contradicts or undermines a teaching set forth clearly in the Church’s official catechism than that teaching is not genuinely catholic. It becomes a counterfeit -catholic position, and thus not catholic at all. 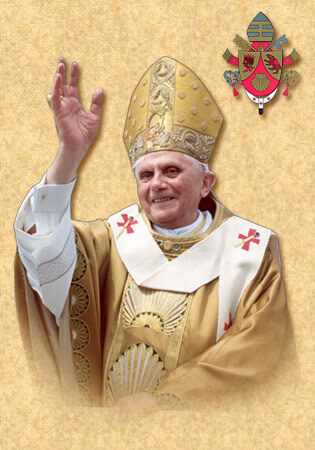 This advice was given by Pope Benedict XVI to seminarians and priests. Romans 8:18 Fratres, Existimo, quod non sunt condignae passiones hujus temporis ad futuram gloriam, quae revelabitur in nobis; Brethren, I reckon that the suffering of this time are not worthy to be compared with the glory to come, that shall be revealed in us. Luke 5:10b Et ait ad Simonem Jesus: Noli timere: ex hoc jam homines eris capiens; And Jesus saith to Simon: Fear not, from henceforth thou shalt catch men.